Speaking of dots, here is another painting which demonstrates my love of dots and circles. 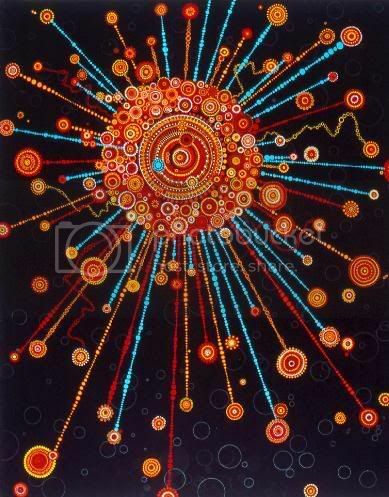 This is called Suspiria and I'm sure you can see the influence of the amazing, wonderfully inspiring Fred Tomaselli! Not that this comes anywhere close to the awesomeness of his work, but I loved working on this painting and love the way it turned out! It was featured in issue number 58 of New American Paintings.